The presence and accumulation of plastic and microplastic (MP) debris in the natural environment is of increasing concern and has become the focus of attention for many researchers. Plastic debris is a prolific, long-lived pollutant that is highly resistant to environmental degradation, readily adheres hydrophobic persistent organic pollutants and is linked to morbidity and mortality in numerous aquatic organisms. The prevalence of MPs within the natural environment is a symptom of continuous and rapid growth in synthetic plastic production and mismanagement of plastic waste. 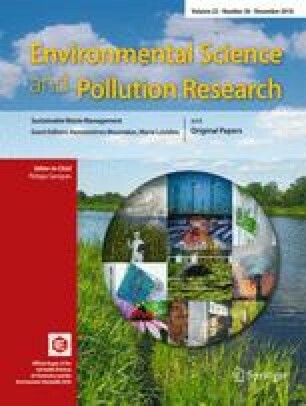 Many terrestrial and marine-based processes, including domestic and industrial drainage, maritime activities agricultural runoff and wastewater treatment plants (WWTPs) effluent, contribute to MP pollution in aquatic environments. MPs have been identified in food consumed by human and in air samples, and exposure to MPs via ingestion or inhalation could lead to adverse human health effects. Regulations in many countries have already been established or will soon be implemented to reduce MPs in aquatic environments. This review focuses on the occurrence, sources, and transport of MPs in terrestrial and aquatic environments to highlight potential human health effects, and applicable regulations to mitigate impacts of MPs. This study also highlights the importance of personality traits and cognitive ability in reducing the entry of MPs into the environment. This work was supported by Iran National Science Foundation (INSF), Tehran; grant number 97001707.